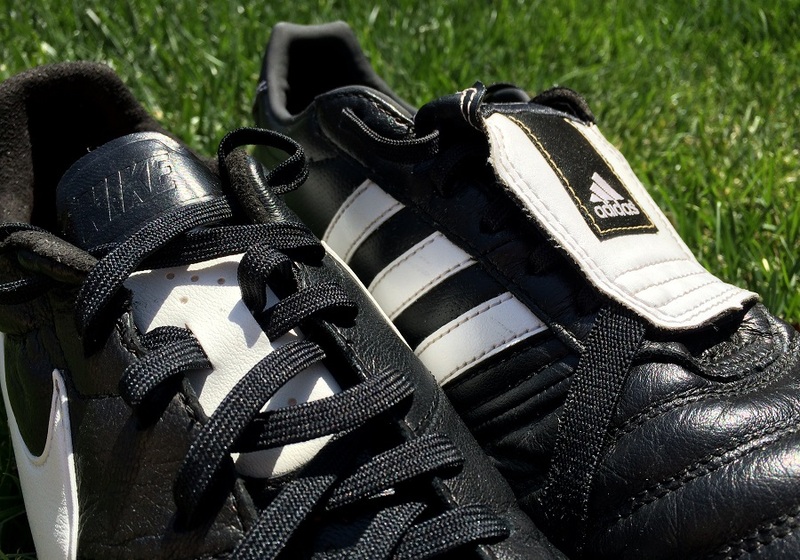 Home / Adidas / Nike Premier vs Adidas Gloro – Which Boot to Choose? In a market saturated with extremely vibrant, tech heavy boots, there are two pairs of recently releases that go against the grain. 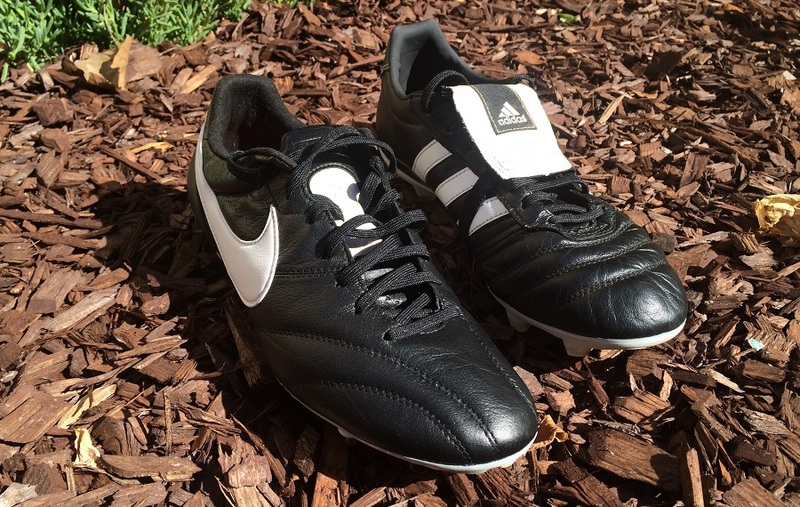 The Nike Premier and Adidas Gloro were both released with the intent of offering players a classic style boot that has been upgraded with modern innovation. 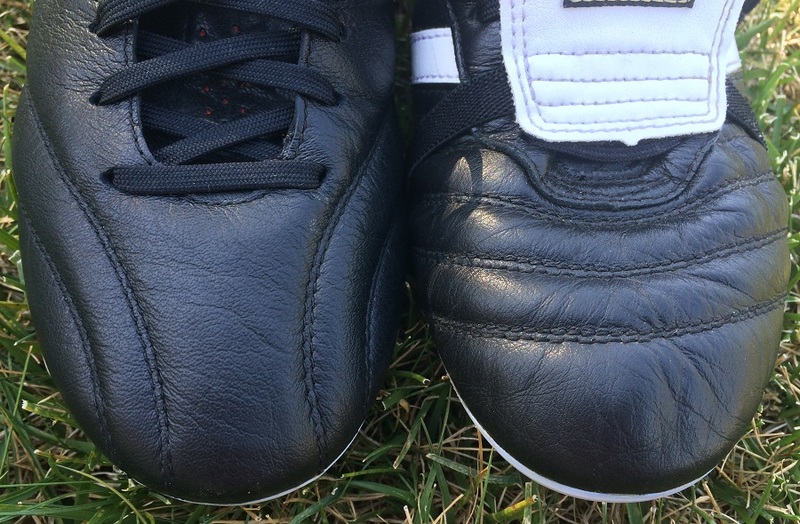 It is also a prime example of the battleground placed between both super brands, with adidas and Nike placing the boots up against each other in a duel for a prime piece of the market. Where the Copa Mundial is all about untouched tradition, the likes of the Nike Tiempo and adidas adiPure (11Pro) have drifted towards unrecognizable designs. Thus the ground was set for someone to unleash something special that could cater to a mid-tier category, offer an old school look and stay affordable while providing top level performance. That is not asking for much really is it? In a world where most fans have an allegiance to a brand, we can keep it completely independent. I’ve never had a preference to either brand and have basically enjoyed different released ranges at different points from both Nike and adidas. 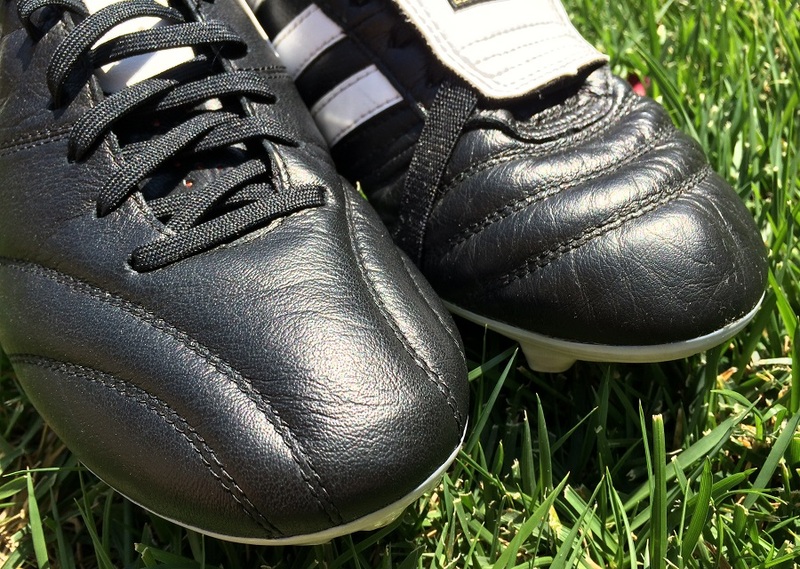 With both boots in hand, here is our take on some of the key fundamentals and differences between both boots! Check out the latest Nike Premier and adidas Gloro colorways available! The first obvious difference between both boots is the design of the tongue. In fact, it is one of the key elements that will help players decide which style they want to go for. With so many similarities between the boots, anything different is sure to stand out. If you were part of the “bring back the tongue” campaign on the Predator, Adidas has semi-answered those requests with an extremely modern under-wrap tongue on the Gloro that sits perfectly across the laces. But if you are after a boot that follows mainstay norms, head towards the ankle cut Premier! This is a simple one – if you like a tongue, go for the Gloro. If you like an ankle cut, stick with the Premier. Fit is the area that has raised most questions from players and there are key differences that should determine the decision making process. 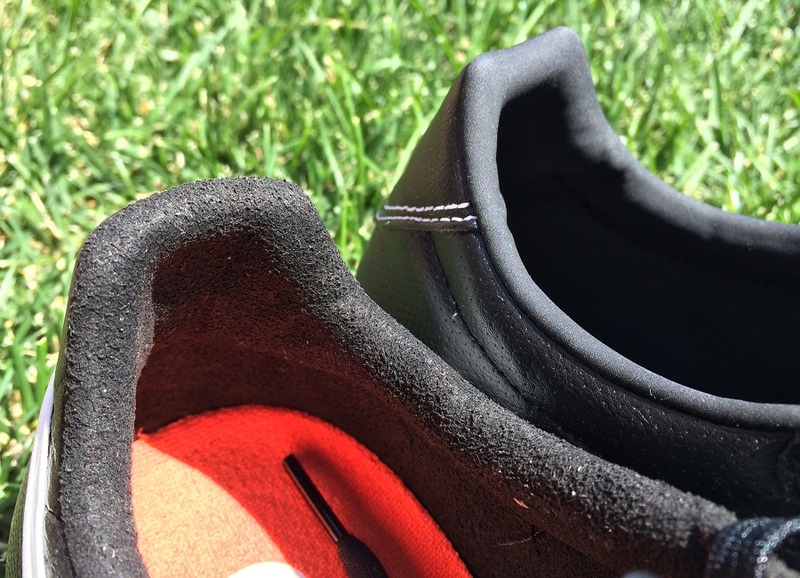 A lot of the differences are directly related to the strategic stitching placed through the forefoot of both boots, and we have no doubt that both brands were pretty specific with the fit they were trying to create. Giving you the answer in one sentence, where the Premier offers a more snug fit, the Gloro is set to accommodate a wider fit. 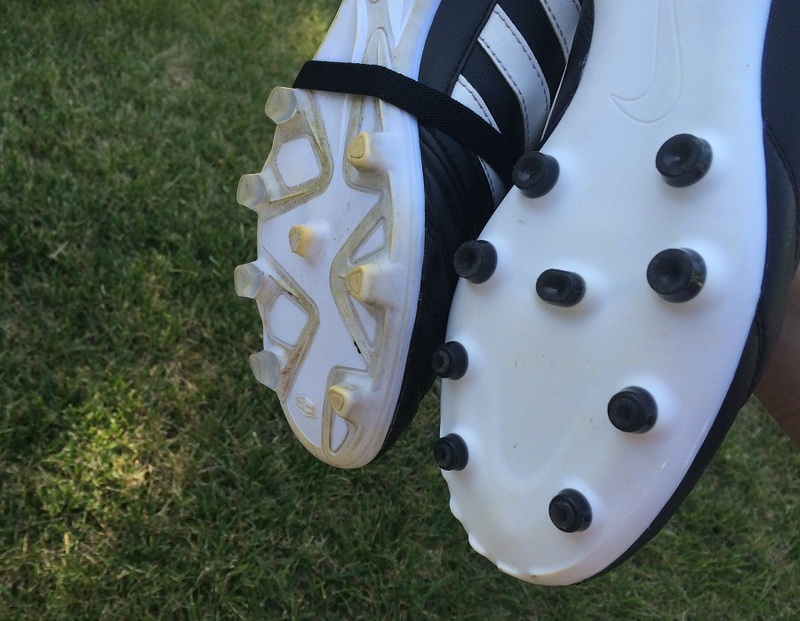 Both boots will suit players with a medium wide fit right from the onset. But, on the Gloro the side stitching offers minimal stretch and is intended to keep a pretty set fit. There isn’t much give and you can rely on a snug fit through the life of the boot. The Gloro follows a similar stitch pattern to the Copa Mundial, and like that classic boot it provides some extra stretch that is sure to accommodate a wide variety of players, especially as it adapts over time. Some players will prefer the restrictive fit of the Premier that will continue to be snug through its lifespan, but there is also a a wide variety of fans that need that little extra wiggle room. The leather – we all love the leather. Well, those of you that are part of the “traditional” movement like myself will appreciate the inclusion of the super soft, moldable material. There is nothing as special as taking a pair of leather boots out of their box for the first time. Again keeping it simple, you get a much more moldable upper on the Gloro thanks to that cross lined stitching on the forefoot. It is ultra soft and really provides a natural touch right from first wear. The Premier also has a soft, natural feel that is sure to get the approval any classic boot enthusiast out there. It is not as soft starting out, but it does loosen up and you get a clean, full bodied feel on the ball. Soleplate action – what can you expect traction wise? Well, Nike has kept things ultra simple with an extremely clean one-piece white soleplate with conical studs. Personally, I love it. There is nothing complicated about it, and right from first wear they feel fantastically comfortable. 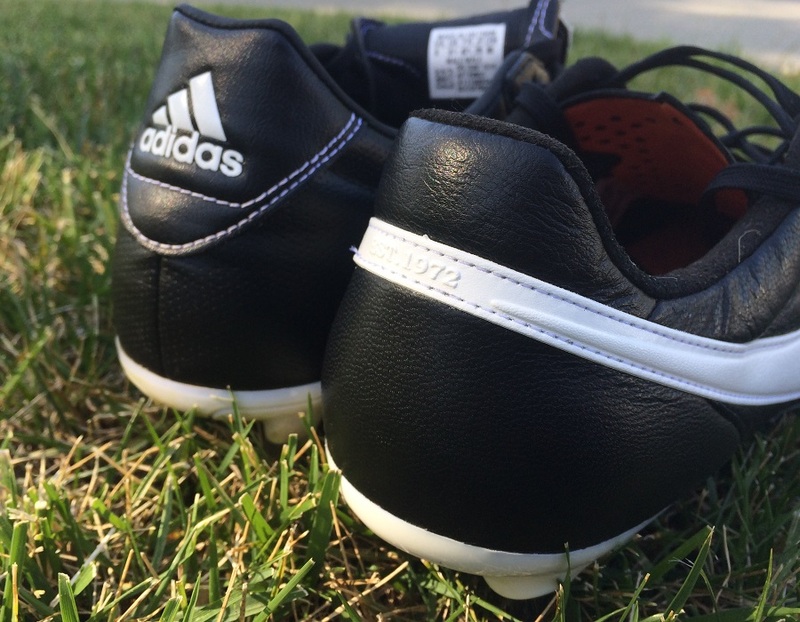 Adidas take things in a slightly different direction by using the same Comfort Frame found on the 11pro. It is more modern, features some intricate grooves that provide key pivot points and more of a triangular shaped stud. Testing them, it is extremely tough to find any key performance differences. 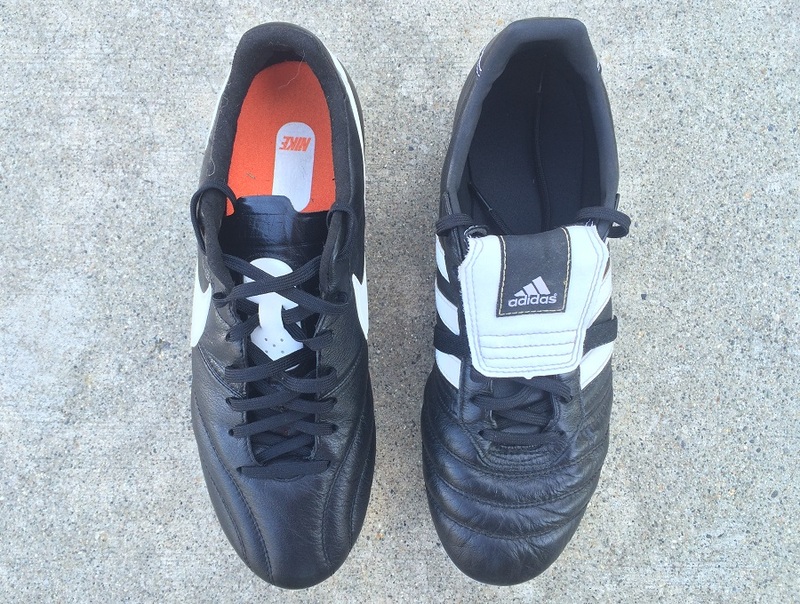 Both boots are ideal for FG and turf surfaces, with a pretty equal range of traction on surfaces. It again comes down to personal preference on this one, and what provides players with more personal confidence in game. If I am being honest, I preferred the performance of the Gloro overall. My only concern is how they stretch over time, with the Premier offering a more uniform shape through wear. Ultimately, the Gloro is more natural and suitable for my style through testing. But, and a big BUT here, both boots are fantastic releases and offer a fantastic package for fans of traditional boots. Where the Copa Mundial will always stick out as a top coaches choice, the Gloro and Premier are better options for players and those that like to stay involved in the action through coaching sessions. There are sure to be more questions that you guys want answered about how they compare performance wise. Feel free to hit up the comments and I’ll add my thoughts where necessary! Love these boots. Can't go wrong with a classic. I have both and have to say that both are excellent boot, i find it hard to lick between them, have the Gloro in FG and Premier in SG so thankfully i dont have too. I have reduced my collection down to my favourites and both have made the cut along with Mizuno Morelia MIJ, Puma Evopower 1, Umbro Speciali Made in Italy so that goes to show how good these boots are. I prefer the Gloro to the Copas and 11pro and prefer the Premier to the Tiempo as well, outstanding value. I have both. Really hard to choose between them. At times, I choose based on my mood for the tongue. Sometimes I love the retro look. Other times I like the modern streamlined look. Other than that, they are both fantastic. Both are my go-to boots. I have a strong brand allegiance to Adidas, and so will naturally favour the Gloro more. How do they compare to the 11Pro, Bryan? I was a die hard Copa guy up until a few years back. Put on a pair of Mercurials and I was hooked. Well a spiral fractured and rebuilt tibia later I will have to return to more comfort/heritage boots for protection. I snagged some Premiers and fell in love. Swelling is still an issue as i recover, but they will be my choice of boots for years to come. Hi, I need help with some suggestions..
What would be the best equivalent of a wide fit indoor shoe? I have the Nike Premier for turf use, and it’s a little on the snug side. Ankle support is not quite wide enough and wants to roll, and toe box is a bit crammed, so I guess it’s too narrow for me on the whole. 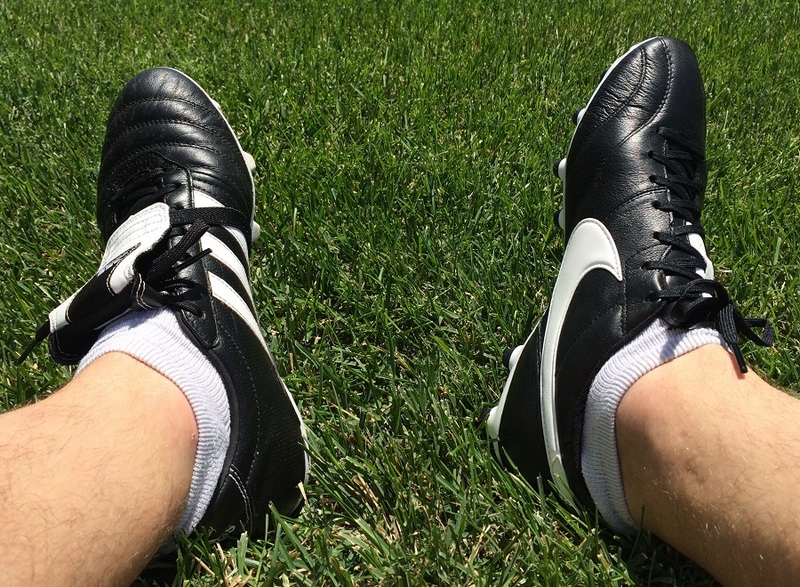 I’ve stopped playing for a few years, my last boot was the Nike Zoom CT (the Robinho model?) from the early Nike5 days, with full k-leather, it was my favourite for a few years. I’m considering something the Lunar Gato III, because of the wide width, and Nikeskin (next best to k-leather?). Is there anything else from other brands I should be looking at if I’m concerned about wide width and k-leather-like material?